Haysville Public Schools Teachers will be back in the classroom to welcome students on August 12 (K- 6, 9 grades) and August 13 (7 – 8 and 10 – 12 grades). In preparation for a new school year, Jetta Williams, Early Childhood Program Director, put together baskets of goodies for all of the Early Childhood Teachers, Para-Educators, Speech and Language Pathologists, Occupational Therapy Specialists and Physical Therapists. 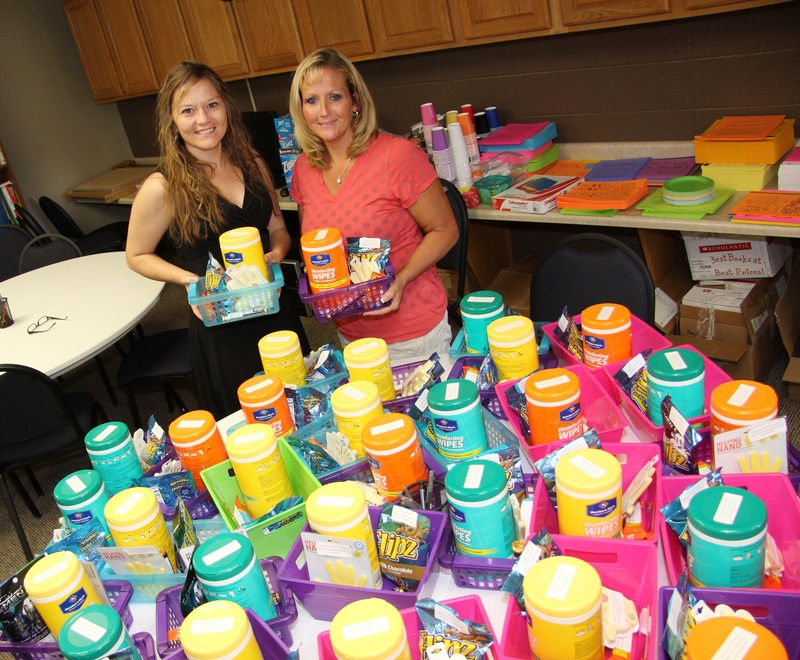 (Left) Katrina Johnson, Rainbow United Transition Coordinator, and (right) Jennifer Schroeder, Early Childhood Program Secretary, display the baskets ready for distribution.